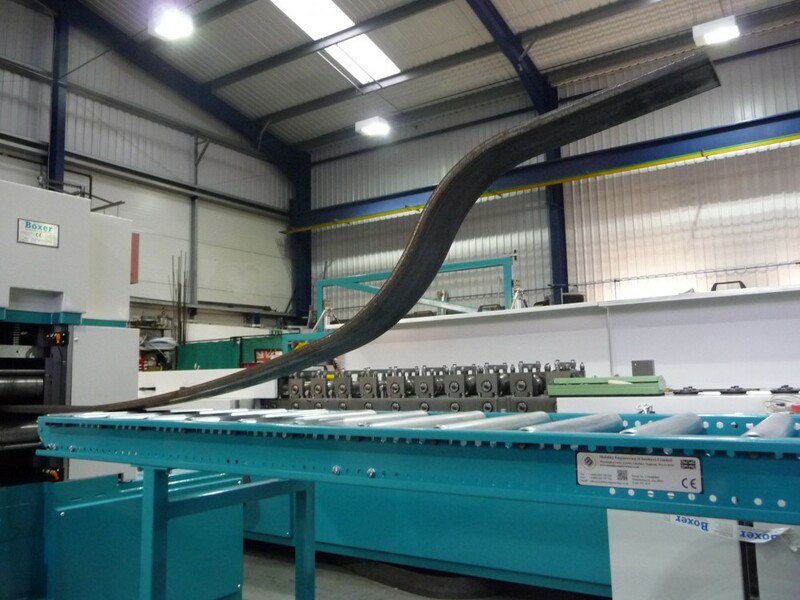 This machine is capable of automatic bi-directional curving of 100 to 150mm wide x 8 to 20mm thick mild steel plates into various bi-directional curved shapes, at a speed of approximately 5m/min. 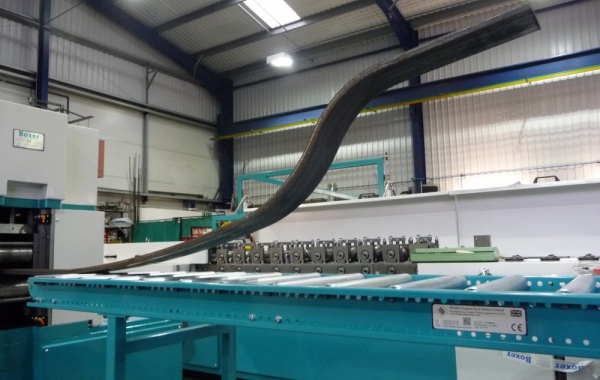 The machine works with the plate in a horizontal attitude such that the curving is formed downwards and upwards. Positionable infeed and exit roller supports are incorporated. 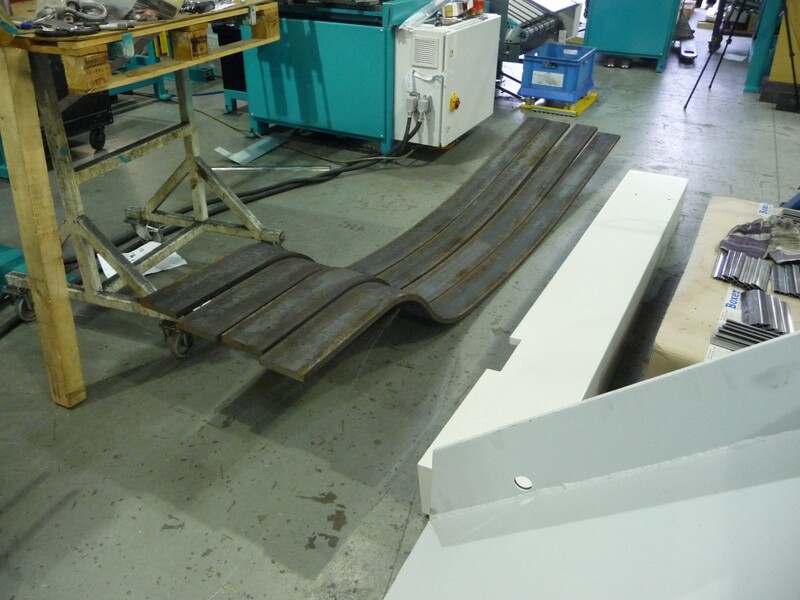 The typical 3-metre long component shown takes approximately 1.5 minutes to form. 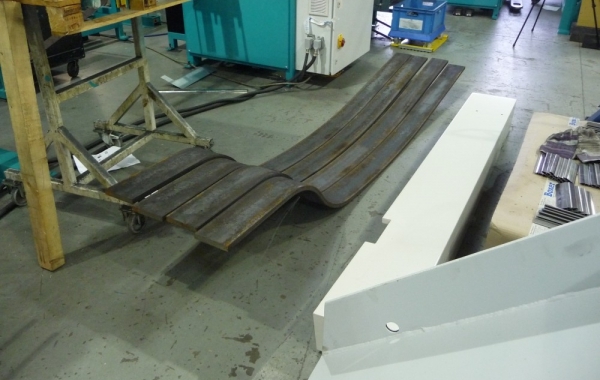 Six Ø120mm hardened steel rollers are used to perform the curving operation. 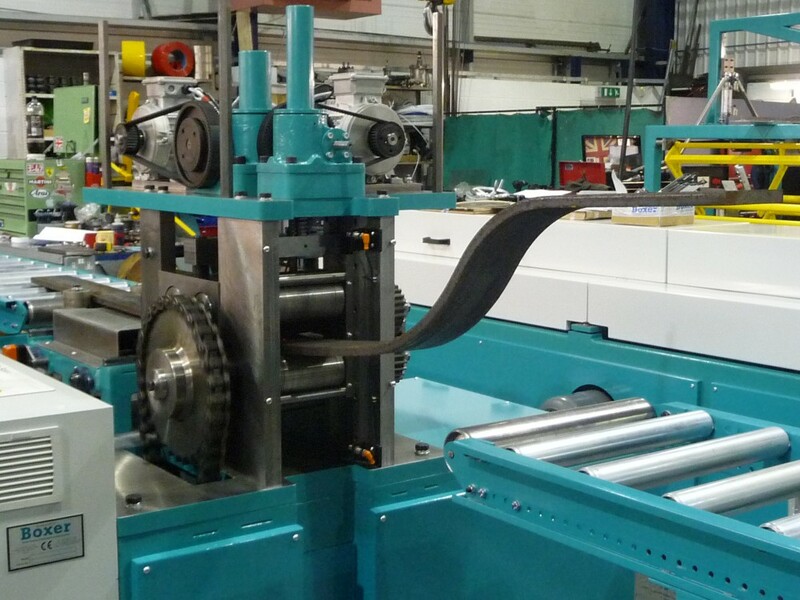 The first two pairs carry hydraulic adjustment to automatically suit the variable plate thickness. The two bottom rollers are chain driven by a 4.0kw inverter controlled geared electric motor. The first top roller is free running and the second one is gear-driven, via dual idler gears, to allow large centre variations. The hydraulic power pack is mounted within the machine base. The final roll pair is moved upwards and downwards by means of a five ton screw jack, in turn moved by computer controlled 4kw inverter drive and encoder feedback, necessary to achieve the desired curves. The first roll pair is an additional reaction to resist the action of the curving roll and maintain the incoming plate in the horizontal plane. 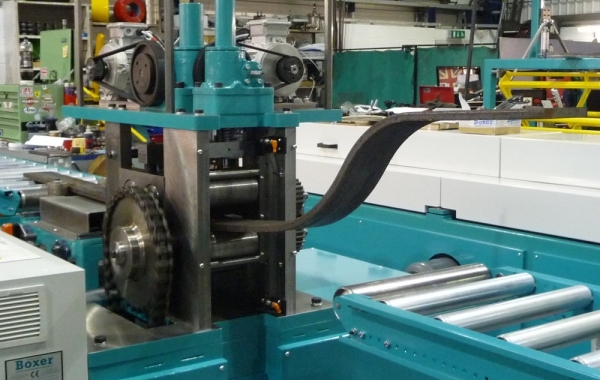 Adjustable edge rollers are carried before the working rollers to act as edge guides and are adjusted equally about the roll centre line on linear guides by means of dual, hand-wheel operated screws with digital width indicator. Four heavy-duty infeed and exit support rollers are positionable to best suit the support of the particular plates on infeed and exit. 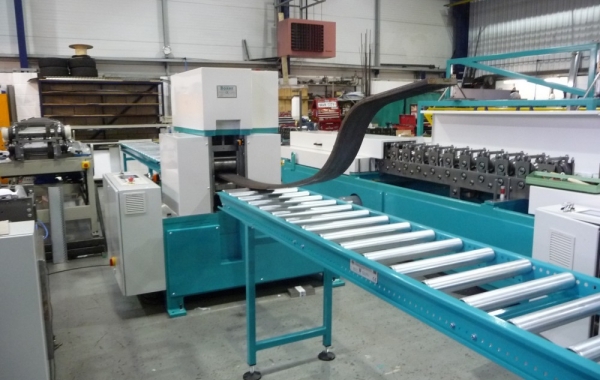 The working head and guides are supported by a robust, fabricated, hollow section base frame, which is panelled with sheet steel guards and the working head protected by sheet steel guards. The electrical control cabinet mounted to the side of the machine frame carries all electrical controls, including the fully programmed microprocessor PLC and inverter drives. The operator controls consist of a touchscreen HMI and a number of push-buttons providing all necessary control and adjustments. 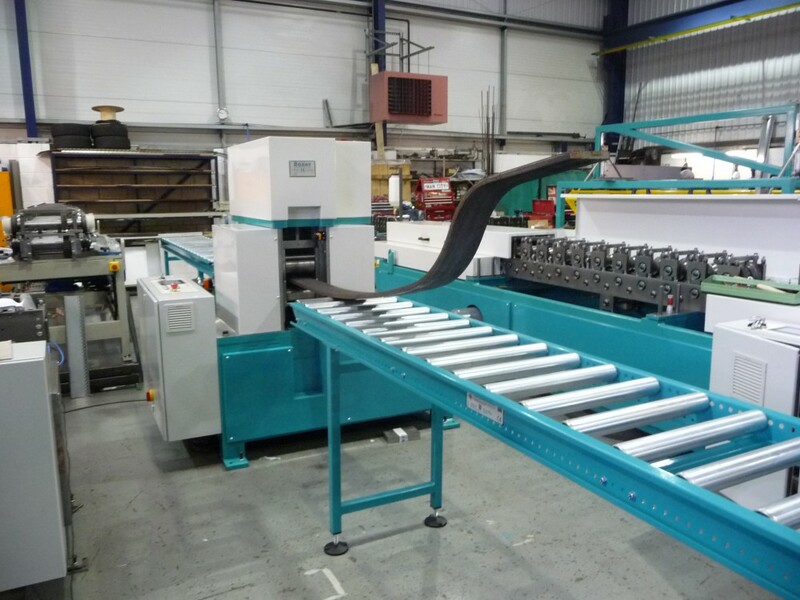 The machine sequence is automated from the component entering the machine and the depression of the sequence ‘start’ button, which then follows the pre-determined bend sequence, according to the programme recipe store. Future product recipes can be added.